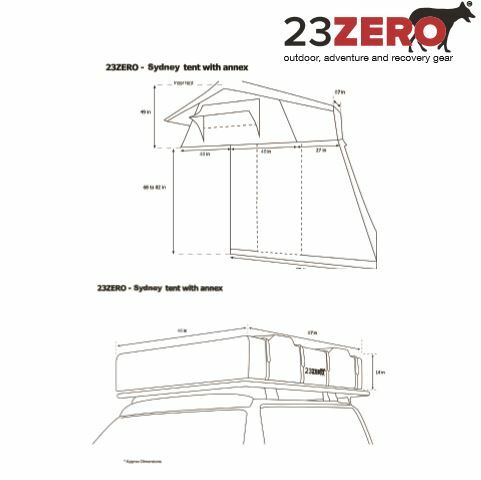 23 ZERO Sydney is a 4 person tent (86″ X 96″). 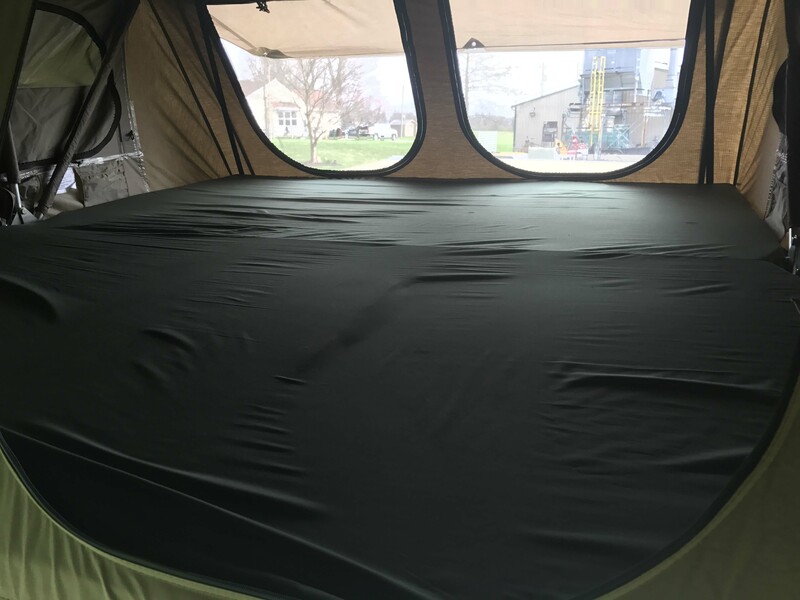 It has a 3″ mattress made from open cell high-density foam. 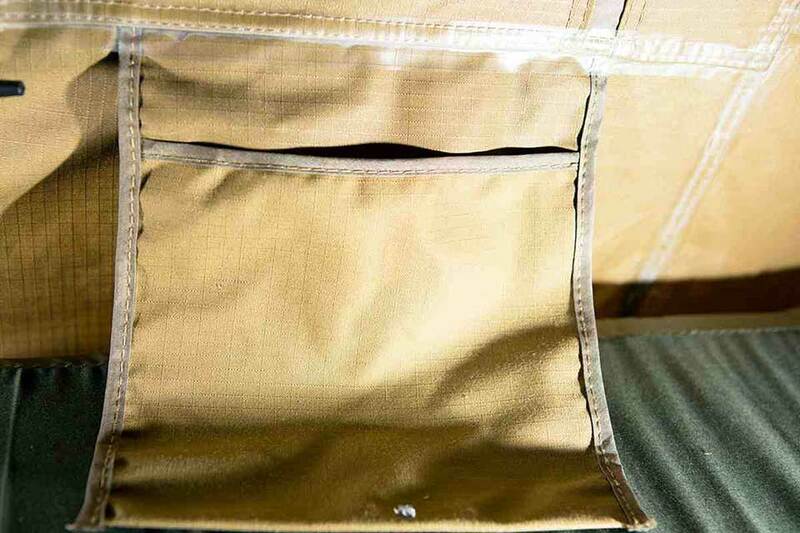 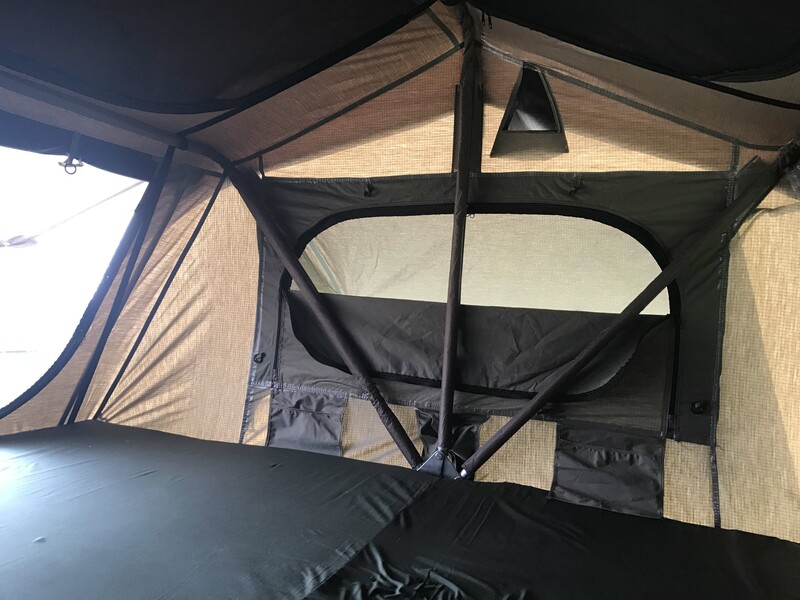 The Sydney is a four seasons tent that is khaki in color. 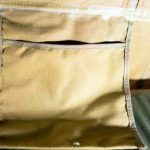 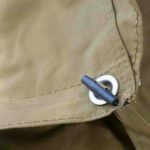 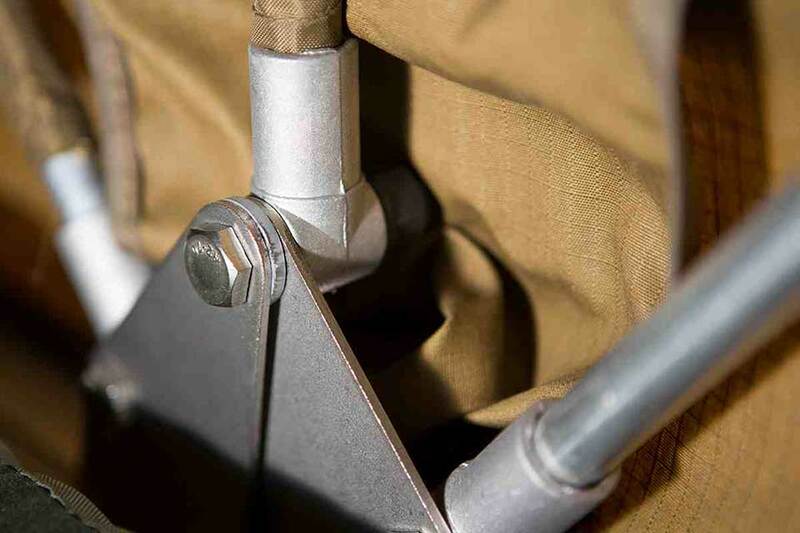 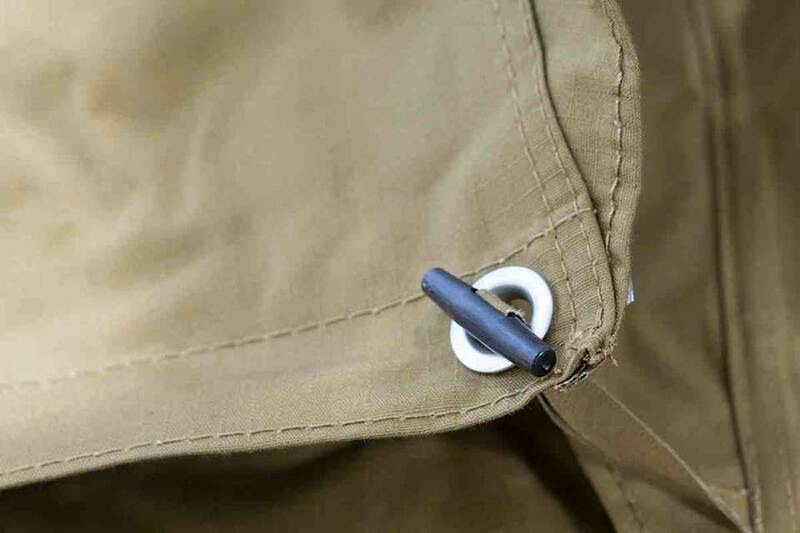 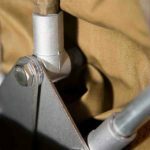 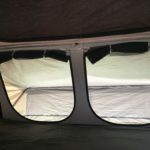 The canopy is made from waterproof, UV and mold resistant 320g Polyester Cotton rip stop canvas. 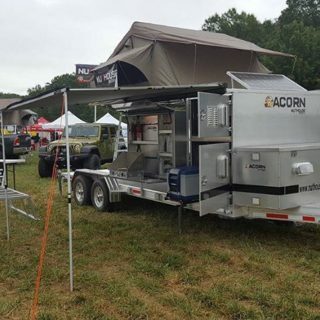 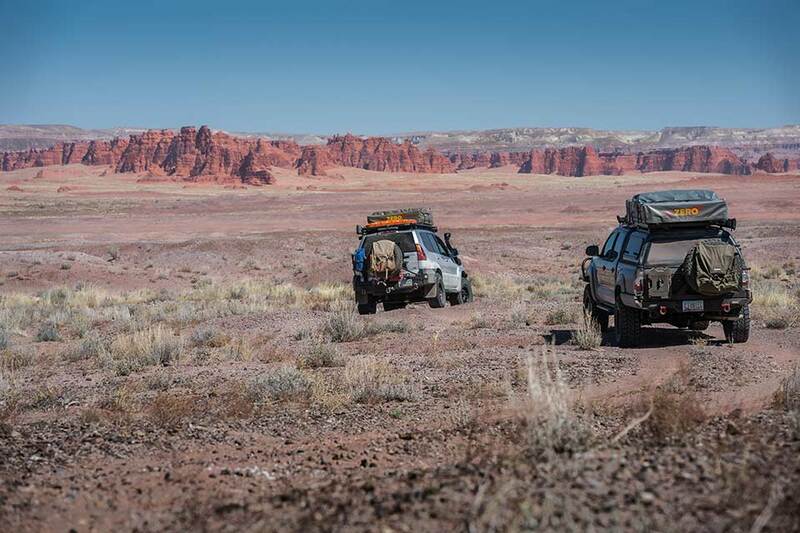 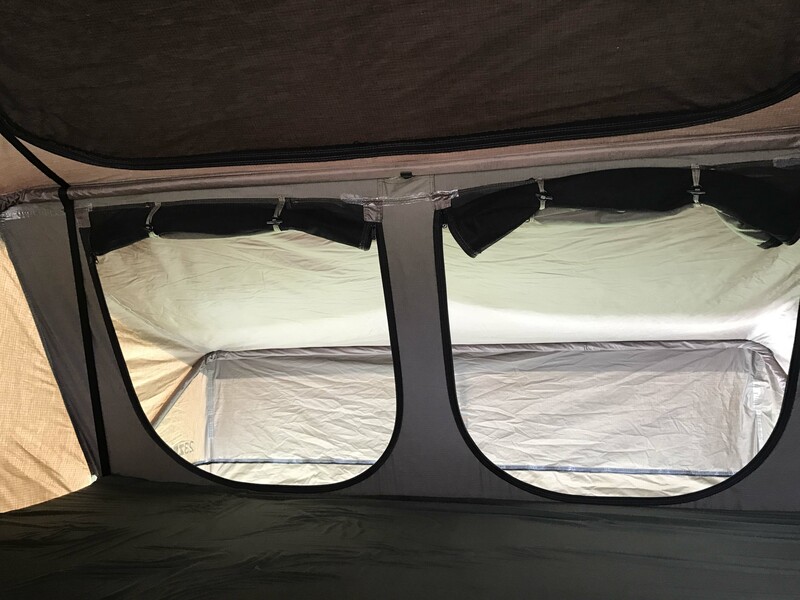 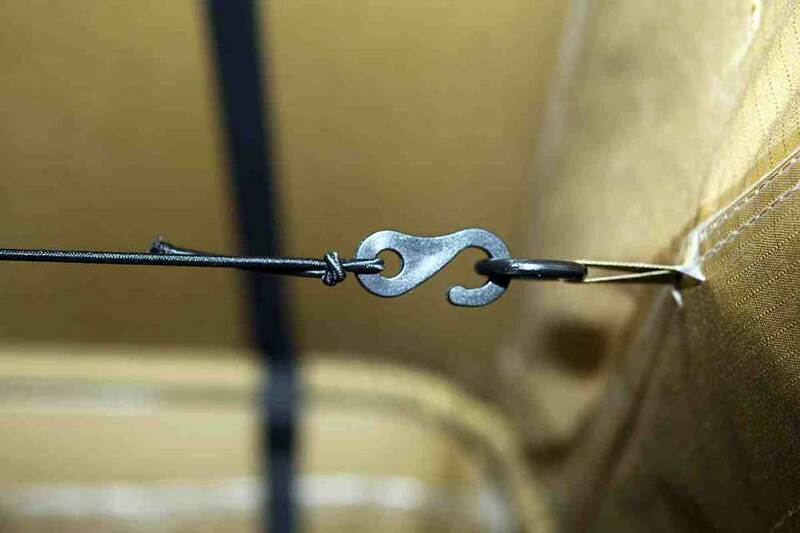 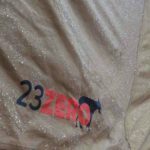 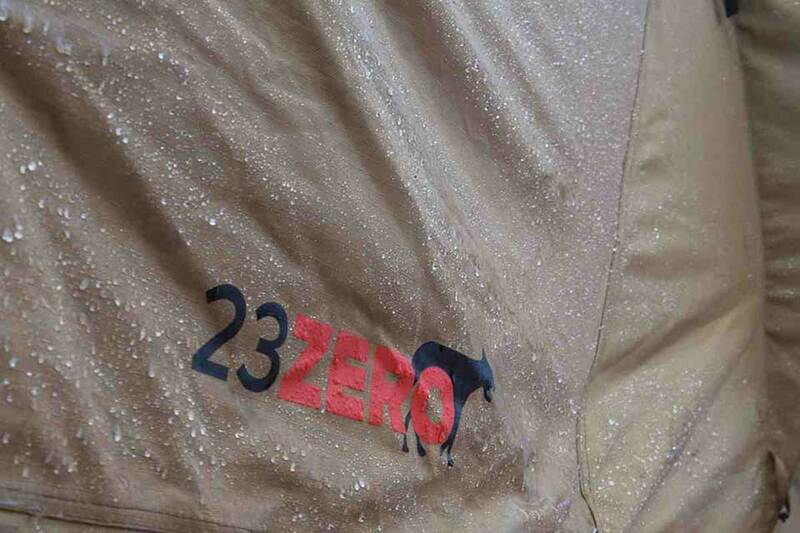 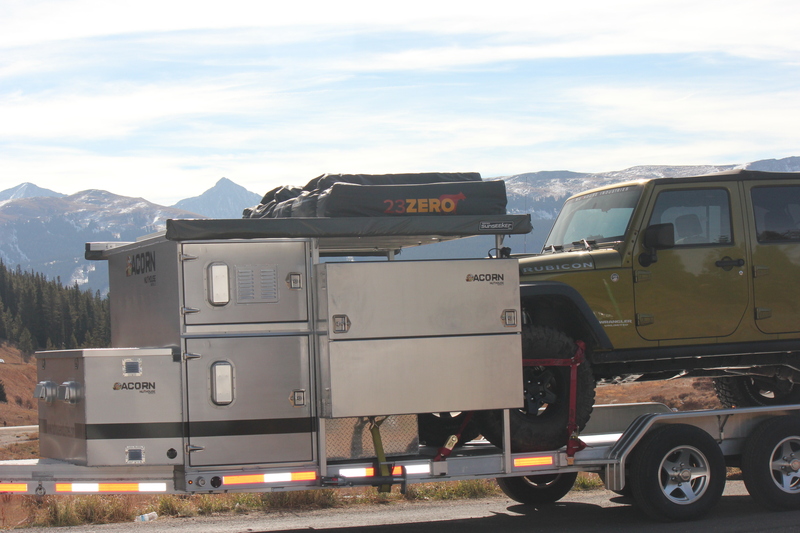 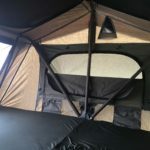 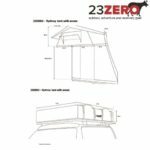 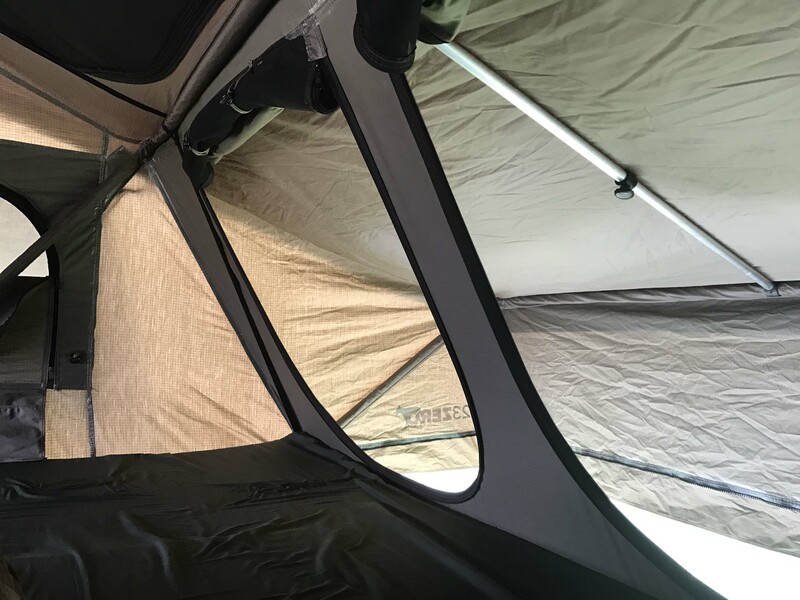 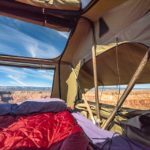 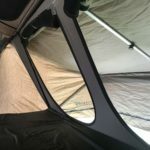 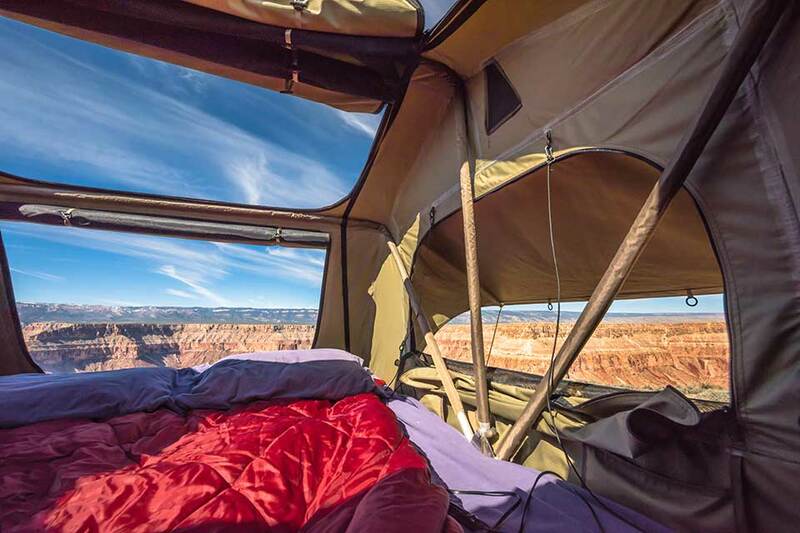 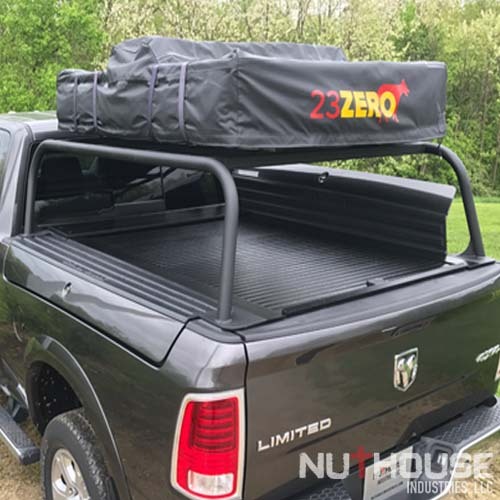 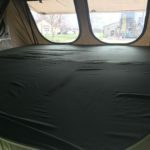 All 23Zero tents have heat taped seams, mosquito screens and skyview windows. 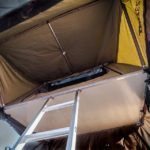 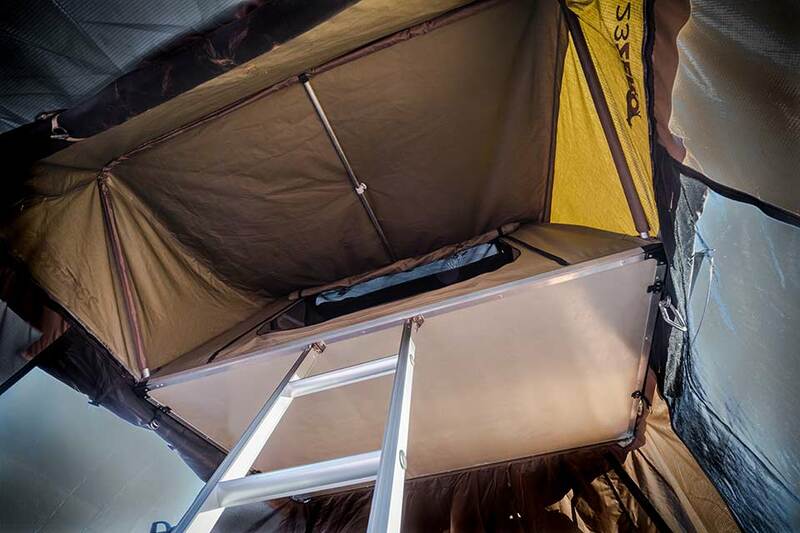 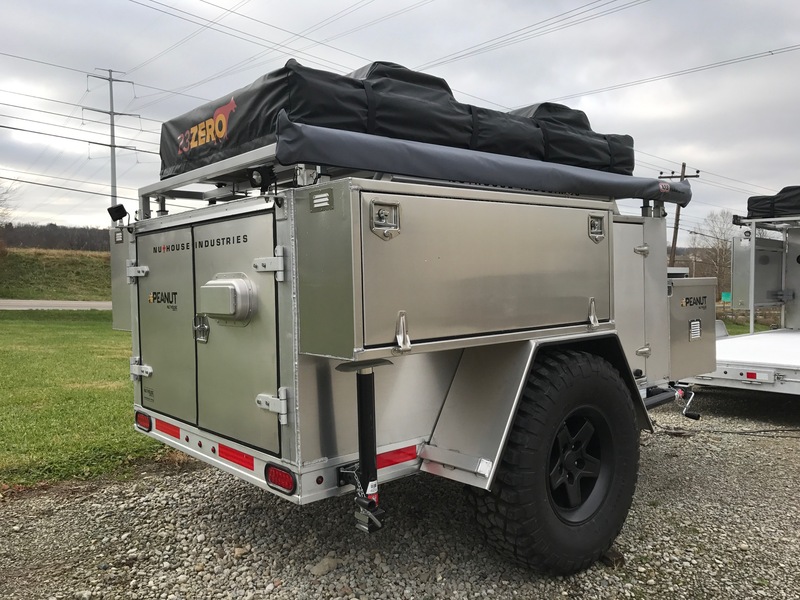 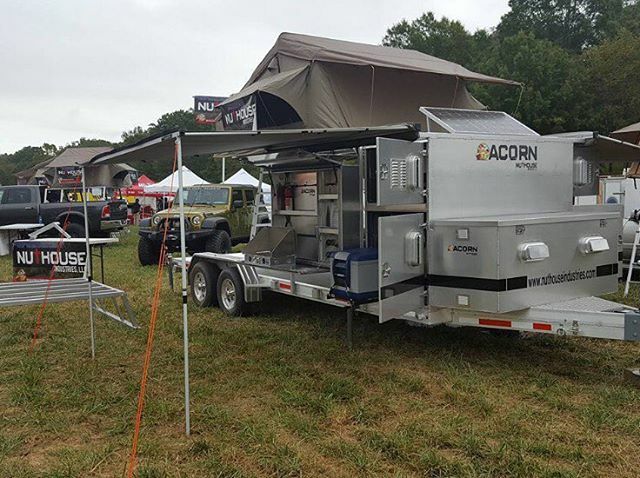 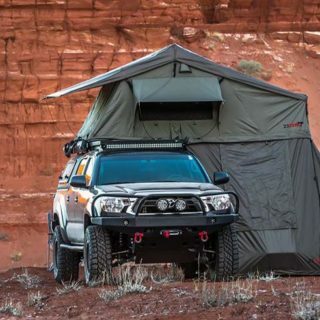 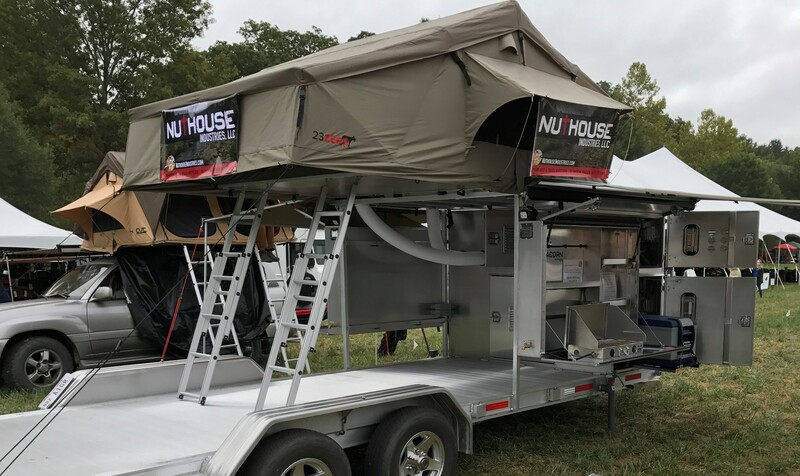 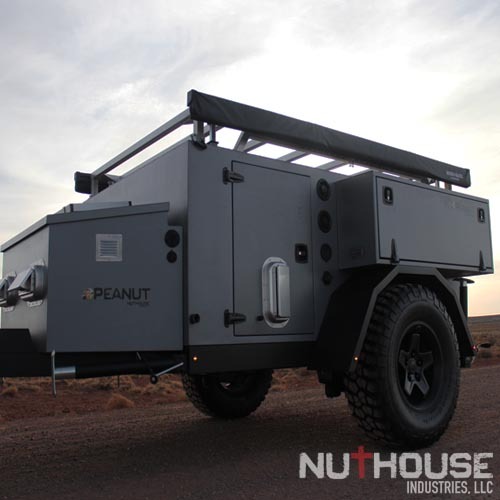 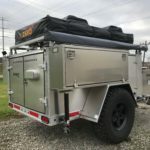 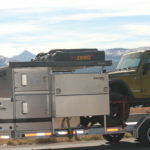 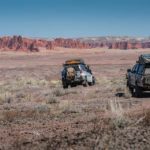 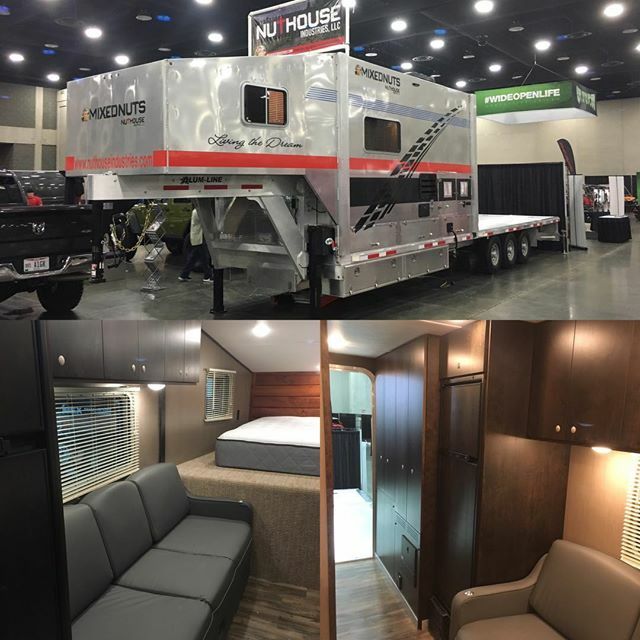 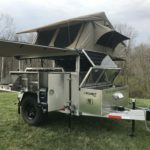 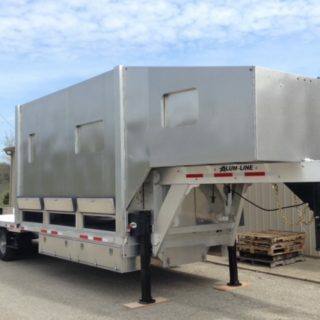 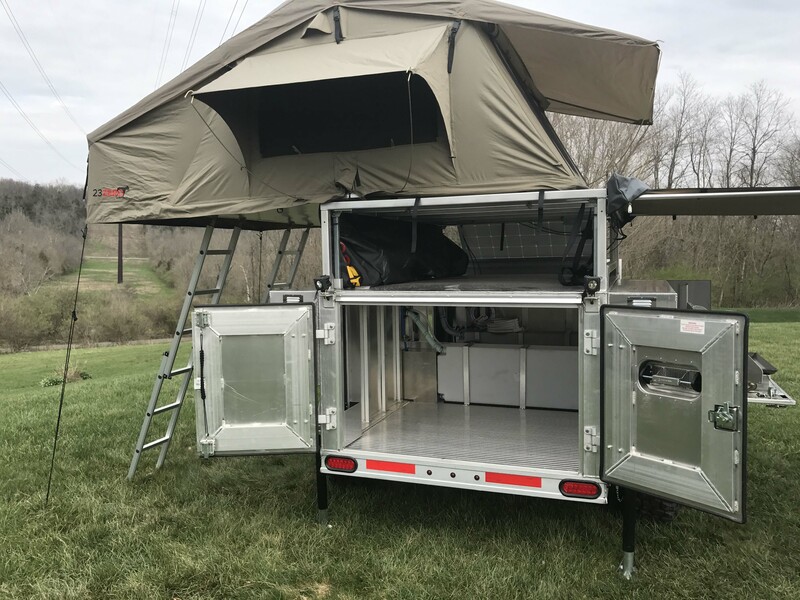 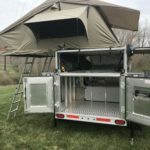 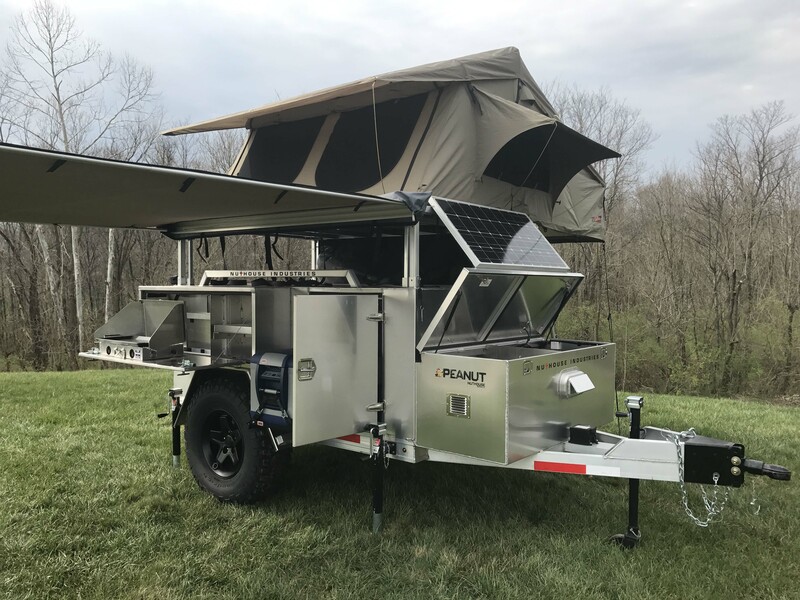 Overall 87" (W) x 123" (L) x 50" (H) does not include fly overhang or window awnings, Sleeping area 86" (W) x 96" (L) 49" (H) inner tent, Projection of tent over ladder 75" (W) x 27" (L), Awning footprint 98" (L) x 66" (W), Awning height from 68" to 82"